Q. Another World Cup, another defeat. How hard is this? MISBAH‑UL‑HAQ: I think the game is gone now, so we have to just concentrate on the next one. Every game we lose is hard, especially in the World Cups, and you need to win the games. Q. Despite your having such a talented side over the years, how does one explain Pakistan losing to India six occasions in the World Cup? How do you explain this? MISBAH‑UL‑HAQ: I don't know. This is happening. You can't do anything about that. I think they are playing well. Today it was a thoroughly professional performance with them; they batted well and they really bowled well, so full credit to them. Q. India was not doing well, and many players were out of form, especially bowlers who were not doing well, and without Kohli and some others, they were not doing well. All of them clicked together, whereas apart from you, there's no great performance today. Is it the nerves which changed the game? What do you think was the turning point of the game? 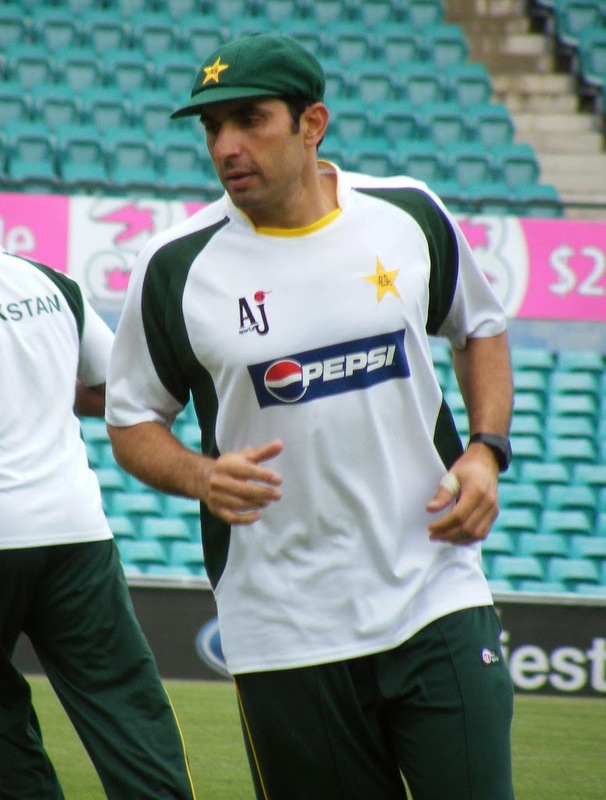 MISBAH‑UL‑HAQ: I think it might be. As everybody knows, they had Shikhar Dhawan and without Kohli, they're all fresh and there are very good batsmen, some of the top batsmen in the world, so I think they really played well today, and the kind of talent that they have, they showed it today. I think we could not really manage to score, our batsmen could not really convert their starts, and some of them just got out early. We need to learn that. Like good players, we need to just carry on, go there and just try to do the job for the team. At the moment, even today, I think the guys were doing it before in the practice games, but today I think we just lost three quick wickets in the middle, and from there we just lost the way. Q. Is there any plan of shifting Younis Khan back to the middle order and providing a little more solidity to the middle order? MISBAH‑UL‑HAQ: Let's see. Actually with these restrictions in the field now, we are not actually getting the balance right because you need a fifth bowler, so that's why sometimes you have to just sacrifice another batsman. Let's see in the coming games. We'll just think about that. Q. Misbah, this total was good enough to chase. Were you happy with the bowling, or was it the batting that went off and destroyed your plans? MISBAH‑UL‑HAQ: I think it's all about just taking wickets. We could not just manage to take wickets, even at the top, and then even in the middle overs, and when you are not taking wickets, it's very difficult to restrict opposition. But still, I think bowlers did very well in the last session. Especially the last 10, 15 overs they bowled really well. It was looking that they were going to score 340, 350, but then I think they pulled them really back. 300 was pretty much chasable, the kind of pitch it was. The ball was really coming well on the bat. But I think it's all about just going, making partnerships and just finishing the games, but we just lost wickets on a regular basis, and three wickets went just like in six, seven bowls. That really hurt us. Q. You spoke yesterday about the team's confidence building up in Australia over the past couple of weeks. That result, does that take you back to square one or do you think you will still have enough momentum to build on? MISBAH‑UL‑HAQ: I think still, the way we played in the last two games, I think we can really go on and just win the coming games, because still, the confidence is not that much down. I think a lot of positives, even today, in the bowling especially, that told us the way we bowl. We really need to just improve a little bit on taking wickets on a regular basis, in between even, in the middle overs, and then we need to really bat well. Q. Misbah, given the extra emphasis on the India‑Pakistan rivalry, I know you lost, but is there any sense of relief that that game is now out of the way and you can concentrate on the World Cup propers, so to speak? MISBAH‑UL‑HAQ: I think it's important for us to just concentrate on the games which are coming which we are going to play, because if you just keep on thinking about the game that is gone now, then it's really difficult for you to just perform well. So I think we need to win the coming game and perform well. That's the only way to stay in the tournament. Q. Misbah, you spoke about losing wickets earlier. Were you surprised how consistent the Indian bowlers were with their lengths and with their intensity? MISBAH‑UL‑HAQ: Yeah, I think they were bowling well, but still, I think those were not the balls ‑‑ we would have just survived those balls, because I think it was a little bit of, you could say, pressure. We should not have lost those wickets. Q. Misbah, can you talk a little bit about the support you received today? Your fans were excellent and the atmosphere was brilliant. MISBAH‑UL‑HAQ: Yeah, it was brilliant. It is always like that whenever it's India‑Pakistan. A lot of support for both the teams, so that was really good.